Three days before marking its 30th anniversary as a diocese, the church in Silicon Valley has received a Roman gift: its first-ever auxiliary bishop. This morning, the Pope named Fr Thomas Daly, 50, vocations director in the adjacent archdiocese of San Francisco and a high-school president there, as auxiliary of San Jose -- now the nation's 10th largest city, and home to a church of over 650,000 Catholics. A former chaplain to the San Fran police department, like many of B16's appointees, the bishop-elect has spent most of his priesthood in education; beyond working a combined 18 years in ministry as a high-school chaplain, teacher and administrator, Daly has a Master's in teaching from Boston College. He was named the archdiocese's vocations chief in 2003 by then-Archbishop William Levada, now the cardinal-prefect of the Congregation for the Doctrine of the Faith -- and, of course, one of the five American members of the Congregation for Bishops. A traditional sign of a church's maturity, the announcement of a first San Jose auxiliary comes just in time for this weekend's feast of its patron, St Joseph, and with it, the formal celebration of the diocese's 30th in its historic cathedral-basilica, the fifth church on the site, opened in 1877. While the San Jose church was founded on 27 January 1981, its first ordinary, Bishop Pierre DuMaine, was installed on St Joseph's day, thus making the latter the canonical date of the diocese's erection. Between its founder, the current (Tweet-friendly) diocesan, Bishop PJ McGrath, and the new auxiliary, all three San Jose prelates have hailed from the City by the Bay, from which the younger church was severed. 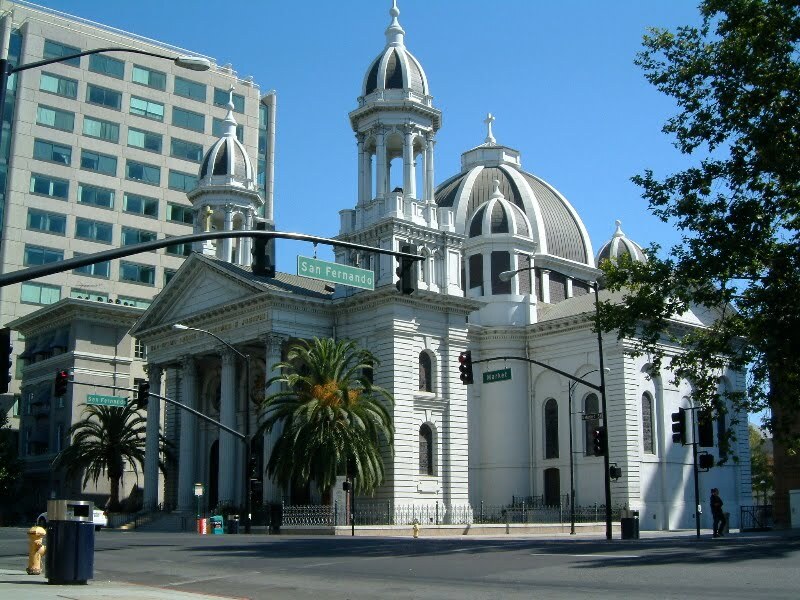 Doubled in size since its founding, it's worth noting that San Jose's current complement of Catholics is sizably larger than San Francisco's church of 400,000. Lastly, Daly is just the latest San Franciscan given the high-hat since Levada took office in Rome in 2005 as B16's first major appointee following his election. The cardinal's former archdiocese has since received two auxiliary bishops, the ever-youthful Bill Justice and the John Courtney Murray scholar Bob McElroy; a former judicial vicar is now Bishop Randy Calvo of Reno, and the now-cardinal's longtime second-in-command, John Wester, became bishop of Utah's booming church, and on the wider scene, has since become a significant leader among the US bishops in his own right. In accord with the canons, the bishop-elect must be ordained within four months of this morning's appointment. On "Election Day," An "Oasis in the Desert"
A Prayer for "The Patriarch"